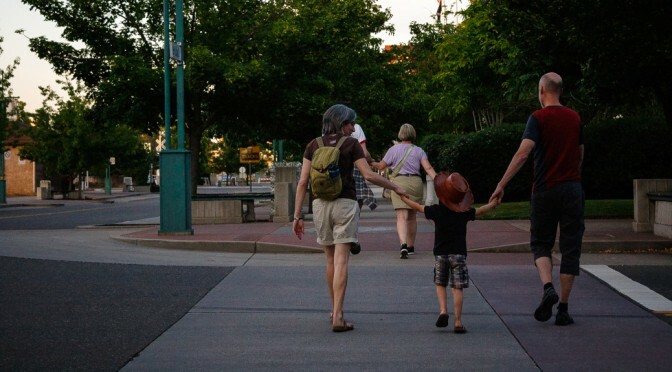 The May 1 workshop, Best Foot Forward: Downtown Redding was a wonderful opportunity to gather people from across the community to discuss opportunities and solutions that could make a real difference in our community. 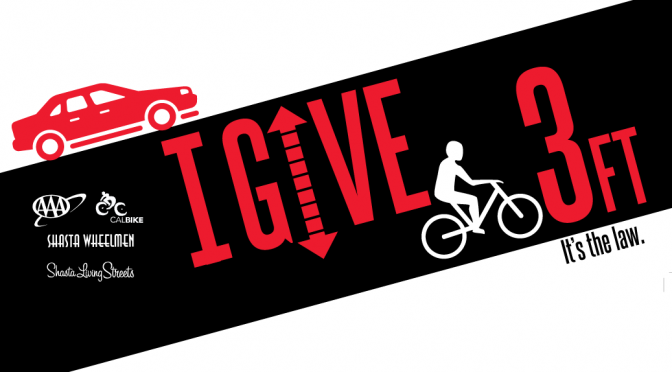 The City of Redding was identified as a focus community for a Community Pedestrian Safety Training, in collaboration with Shasta Living Streets, based on resident interest in pedestrian safety and walkability, as well as recent and planned active transportation improvements in and around the downtown core. Redding community members requested a workshop to 1) provide City staff, community organizations, and residents with a toolkit for promoting pedestrian safety and walkability to inform future comprehensive active transportation planning and improvement efforts; 2) foster an open and collaborative relationship between community groups, residents, and City agencies; and 3) develop consensus for pedestrian safety priorities and actionable next steps in downtown Redding. 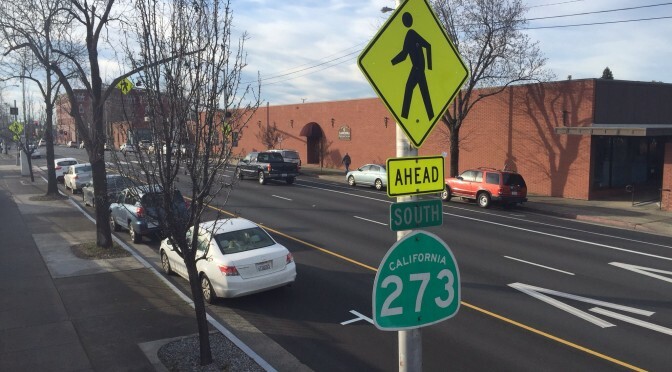 Establish Pedestrian-Friendly Speeds through Traffic Signal Timing: Participants unanimously agreed that traffic speeds in downtown Redding needed to be re-evaluated and retimed in order to achieve lower, pedestrian-friendly speeds (between 23-25 MPH)—particularly for California, Market, and Pine streets. Create Safer Intersections with Curb Extensions & Pedestrian Signal Adjustments: Participants identified several low-cost priority strategies to improve safety for people walking and crossing at intersections, including: building curb extensions—including temporary ones—to reduce crossing distances and slow turning vehicles; improving pedestrian signal timing with automatic pedestrian recall adjustments and leading pedestrian intervals at peak hours at downtown intersections; and adopting a “daylighting” policy to restrict parking at intersections and near crosswalks. Participants supported temporary curb extensions that could be rolled out in the near-term to achieve significant pedestrian safety gains, with Market/Placer, Placer/California, and Pine/Yuba as high-need initial installation sites. Participants noted, however, that the City should also plan for the systematic conversion of any temporary curb extensions to permanent concrete curb extensions in the future. Ensure Market Street Remains a Pedestrian-Priority Street: Participants broadly supported re- opening Market Street to vehicles with the caveat that Market Street must remain a pedestrian- priority street. 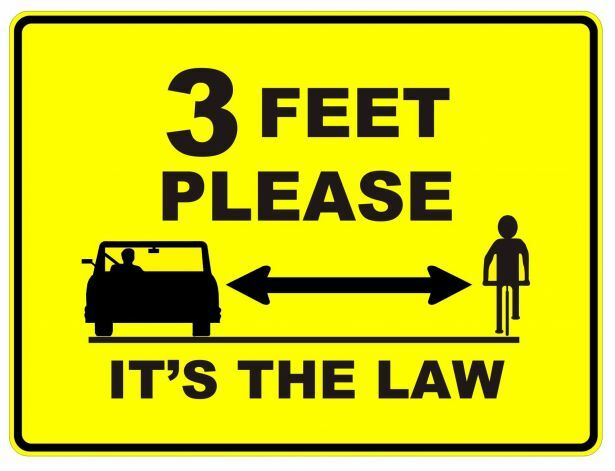 Participants identified extremely low vehicle speeds (15 MPH or less) and providing pedestrian-scale amenities (seating, shade, etc.) as key strategies for maintaining Market Street’s commitment to being a pedestrian-oriented space. One group suggested opening cross streets across the Promenade as an alternative approach to re-establishing vehicle traffic on Market Street itself. Provide Shade throughout Downtown: Participants identified the lack of shade as a large barrier for people walking and recommended that the City systematically plant additional shade trees and/or install shade structures throughout downtown and especially for the Market Street Promenade. Explore Options for Downtown Parking Policy: Participants expressed interest in working with the City to reexamine the downtown area’s parking policy in order to encourage increased turnover through strategies such as variable pricing of on- and off-street parking; creation of a parking benefits district where collected parking fees would be reinvested in streetscape and safety improvements in the area where the fees are collected; and the establishment of a “park once” strategy for downtown. Improve Downtown Walkability through Parklets, Wayfinding, & Lighting: Participants identified several strategies to improve downtown’s walkability, including exploring the establishment of temporary, voluntary “parklet” program; installing additional pedestrian-scale lighting; implementing pedestrian-scale wayfinding and signage throughout the downtown area; and improving the lighting and/or painting the ceiling of the central parking garage white to encourage more utilization of off-street parking as a park-once district strategy in the short- term. MORE INFORMATION — See the report for an overview of safety conditions in downtown, complete input by the group, recommendations by the California Walks and SafeTREC team – and a complete list of all the people, businesses and organizations who contributed to this workshop and report. Thank You to the many participants who gave their time, energy and expertise for this project. Thank You to the workshop presenters and facilitators: The California Walks and SafeTREC team and Cheryl Brinkman from San Francisco MTA. And a very special Thank You! 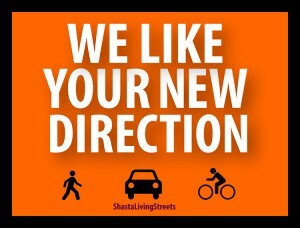 to Shasta Living Streets members, business sponsors and supporters whose contributions make projects like this possible. Thank You to the Northern C’s Cal Alumni Club our community partner for this project. Caltrans announces a new people and community-friendly direction that will help transform communities across California – and Downtown Redding is the Feature Story! 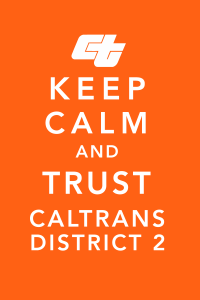 This new direction was announced in Caltrans Performance Report, June 2015. 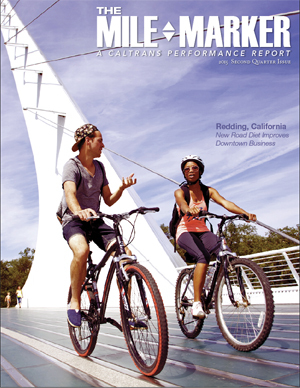 We are excited to see the feature article in this important publication – Redding, California: New Road Diet Improves Downtown Business! Thank You and congratulations to our many members and supporters who made this project possible in the first place. Your letters and phone calls supporting this project made the difference. 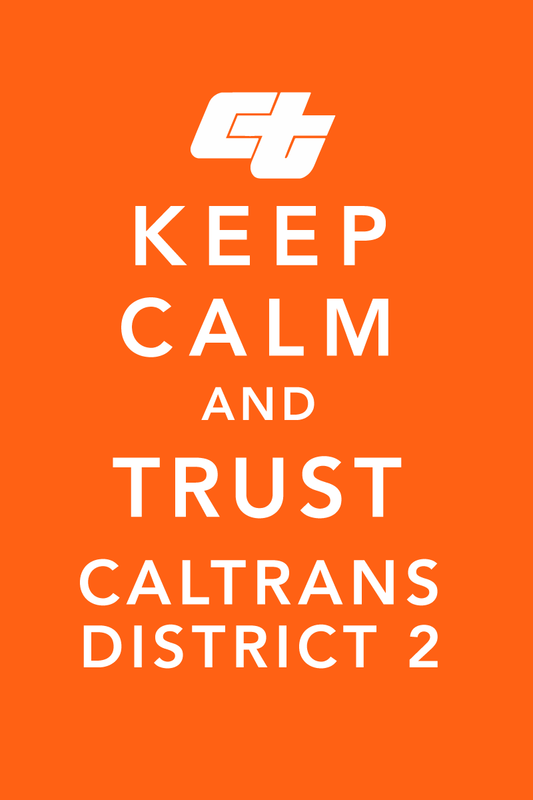 In 2015 Caltrans announced an ambitious new direction. 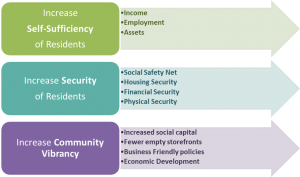 Sustainability, Livability and Economy Make long-lasting, smart mobility decisions that improve the environment, support a vibrant economy, and build communities, not sprawl. 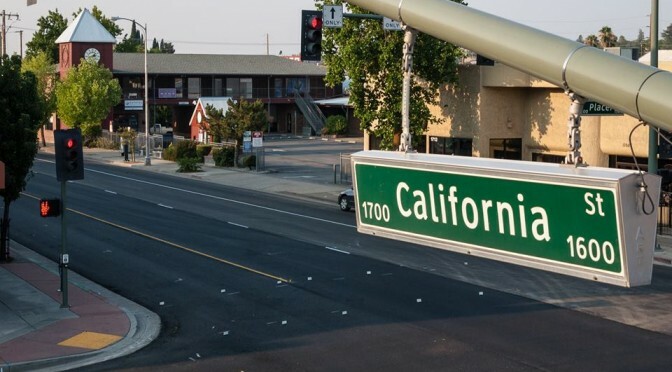 Kudos to staff and leadership at Caltrans District 2 and staff of the City of Redding for the vision, design and planning to implement the California Street project quickly for the benefit of downtown businesses and local people who want to see a more inviting and safe downtown district. 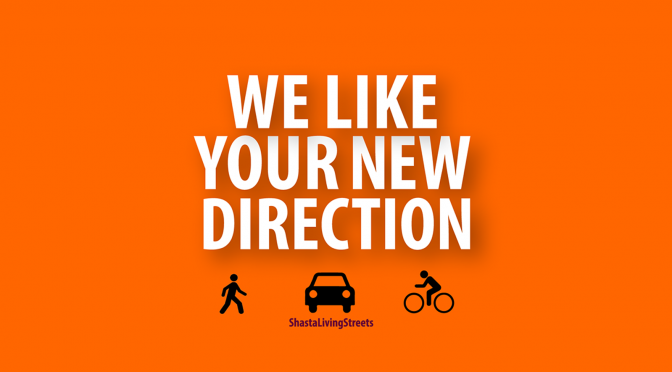 We look forward to further improvements on California Street and downtown Redding for walking, biking, public spaces, parking and driving – though the current planning processes and future project implementations.